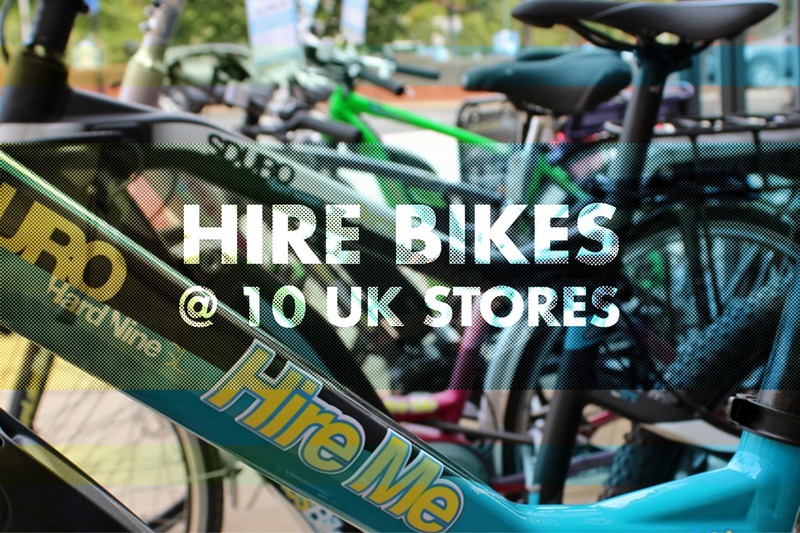 At all of our 10 UK bike stores we offer a wide range of hire bikes, available from prices starting at just £10! We have a great range of electric bikes, commute bikes, hybrid bikes and mountain bikes ready at the store, ideal for exploring local routes or heading further afield for multi-day trips. Looking to buy a bike and want to try before you buy? If you decide to buy any bike from us after hiring a bike, we will take the price you paid for hire, off the price of the bike! Hire bikes available vary per store so please check out your local Leisure Lakes Bikes store below for their hire and demo fleet. Don’t forget if you try-before-you-buy, we will discount the bike you want to buy, by the money you paid for hire! Please be aware that when hiring any bike from us we must charge you a refundable rate based on the type of bike. These prices will be taken on collection of the bike and refunded on the return of the bike. Please note failure to return the bike will result in Leisure Lakes Bikes recovering the full retail value of the bike from the rider. Please read our full terms and conditions below before hiring a bike. We also have the latest mountain bikes available to demo for just £85! Best thing is, with our try-before-you-buy scheme, if you decide to buy any bike from us after your hire or demo, we’ll deduct the hire fee off the price of your new bike! 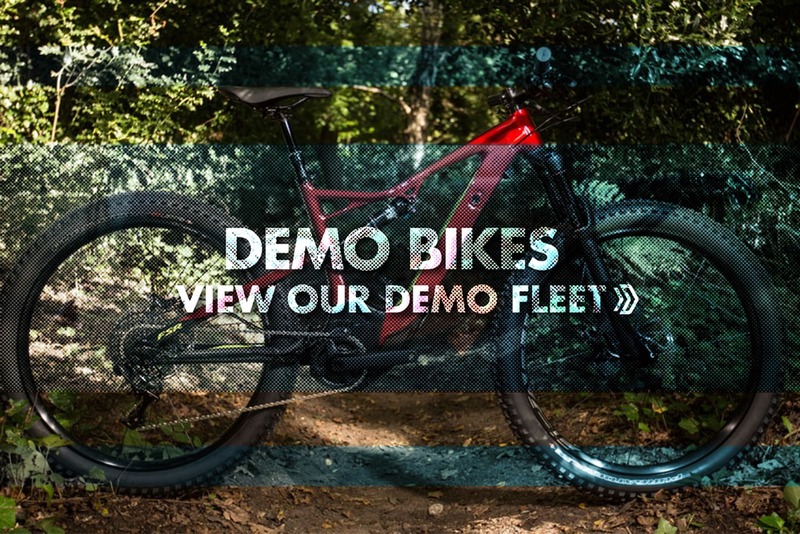 Check out our demo bike fleet and arrange a demo from any of our 10 UK stores. Please be aware that when demoing any bike from us we must charge you a refundable rate of £1500. This prices will be taken on collection of the bike and refunded on the return of the bike. Please note failure to return the bike will result in Leisure Lakes Bikes recovering the full retail value of the bike from the rider. Please read our full terms and conditions below before demoing a bike. If there are 6 or more of you in your party then we can offer 10% off all bike hire prices! Just fill our the hire bike form above and select 6 bikes to hire and we will apply your discount when you arrive to collect your bikes! The rider is fully responsible for their actions whilst using the demo/hire bike. Leisure Lakes Bikes do not accept responsibility for the actions of the participant nor the consequences of such actions. Each rider is responsible for providing their own insurance protection while using a demo bike. Any accident or injury caused by the rider’s actions will be the full responsibility of said rider. Each participant will be fully responsible for any fees or costs incurred or arising from an accident either involving or caused by the rider. Each rider, upon signing the booking form, agrees that they are physically and mentally capable of riding the demo / hire bike. The booking form must be completed by a person aged 18 years or over. Evidence of age may be requested. The rider agrees to wear, as a minimum, a suitably designed cycling specific helmet while using the demo/ hire bike. Leisure Lakes Bikes reserve the right to refuse demo bike use to anyone with inappropriate equipment or clothing. The rider agrees to return the bike to the demo/ hire bike staff at the shop . Failure to return the bike will result in Leisure Lakes Bikes recovering the full retail value of the bike from the rider. The rider is responsible for any negligent damage caused to the bike. The cost of any damage caused (over and above standard wear and tear) will be recovered from the rider.